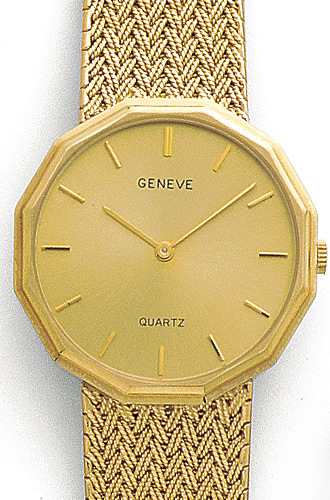 14K yellow gold class watch with a detailed round face and mesh bracelet. Bordered with an elegant yellow gold design this watch has a champagne dial with gold hour markers and gold hands. Watch Face Size: 1 1/4"